Blue Letter Bible is pleased to announce our new partnership with SermonAudio. SermonAudio offers a vast library of audio sermons from teachers who hold to a theologically conservative, Bible-believing, and Christ-honoring perspective, including over 1.5 million sermons from 30,000+ speakers. 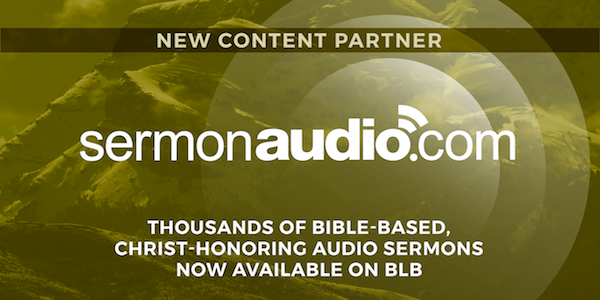 We have partnered with SermonAudio to make these sermons available freely and immediately to BLB users through our website and apps. Teachers include John MacArthur, Alistair Begg, A.W. Tozer, and more. Simply open the “Commentaries” tab in our study tools section of our Bible passages, and view the teachers now available from SermonAudio.